THIS IS AN UNFINISHED AND TEMPORARY FORUM LAYOUT, EVERYTHING WILL BE FULLY SET UP WHEN THE TEXTURE PACK IS NEAR COMPLETION. A RPG Texture Pack that I am working on. It is my first texture pack so suggestions and tips would be much appreciated. This forum thread will be much better looking once I get everything set up. 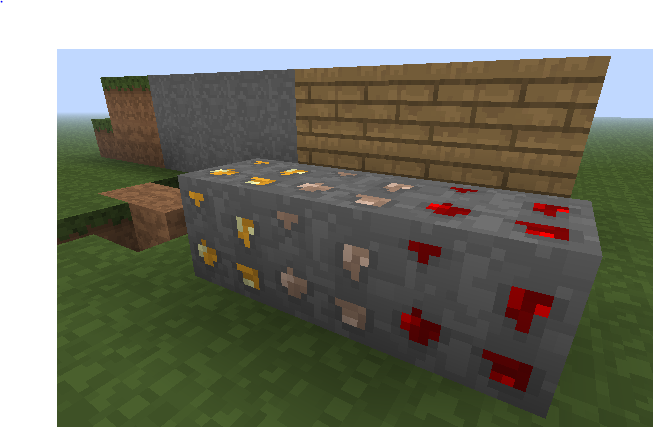 Fix stone, it tiles a bit odd, and embed the ores into the stone, otherwise they look like they're floating on it. I'm not sure why, but this looks strange. Maybe it's because I'm used to higher res stuff but this just looks odd. I think this is quite a good start. It has the "feel" of a painterly pack for some reason, probably the colours you're using. Real nice pack, like the logs.